BlueStar Cooking makes high quality cooking equipment for the home. Home chefs with a passion for cooking love their products and so do many professional chefs. Because BlueStar’s products incorporate top-of-the-line burners that provide both amazing high heat and even, low-heat cooking, many professional chefs are happy to partner with the brand – that’s where we come in. Through BlueStar we have filmed videos with Iron Chef Michael Symon, Iron Chef Bobby Flay, social media fenom Zoe Bakes, and Mary Nolan. 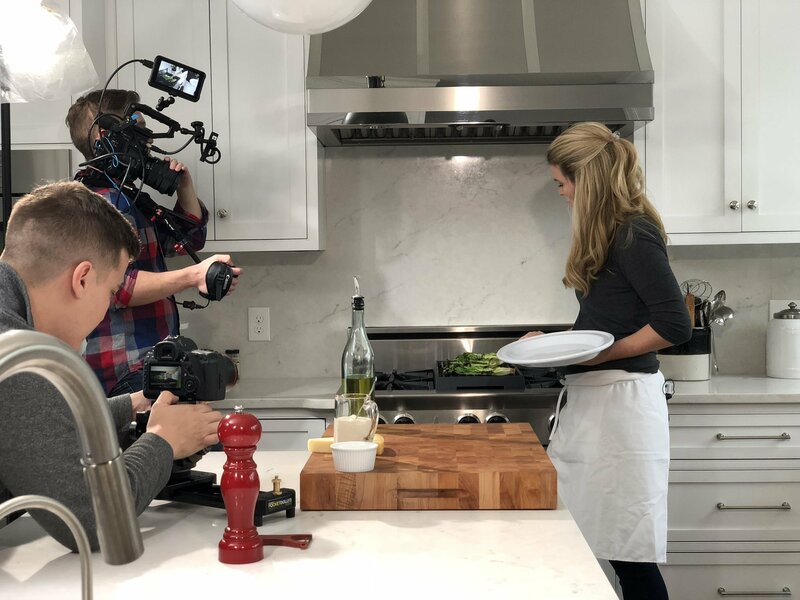 A lot of the videos we’ve done for BlueStar feature these pro chefs highlighting how they use the equipment to prepare meals, and discussing what they love most about BlueStar. The focus has always been on the recipes, tips, and general cooking strategies, as opposed to talking about BlueStar. This is a strategy we typically buy into and believe in. How many videos can you really watch of someone trying to sell you something? Not many…if any at all. Whatever your niche industry, you should be providing content for your target audience that they’re going to care about and it should be authentic. Of course, BlueStar wants to constantly talk about their high heat burners, the variety of color options, etc. But they understand that their typical client base is the viewer who cares about content and is looking for recipes they want to make. And if it just so happens that these burners will help you make them…that’s your ideal sales environment and strategy. 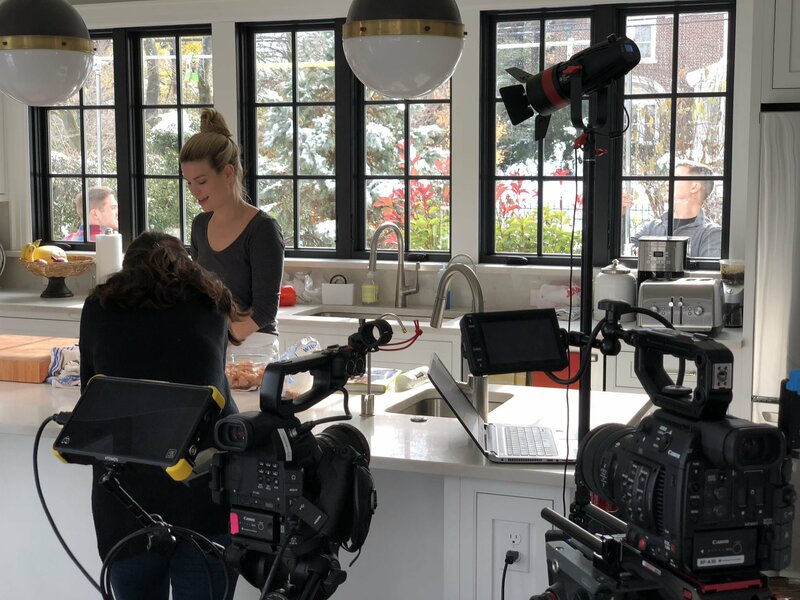 For this project, we had the pleasure of working with Mary Nolan in her home in Allentown, Pa. We would be filming nine short videos highlighting different aspects of why Mary loves her BlueStar, and applying its features to recipes that she makes on a regular basis. Mary’s kitchen is stunning, with beautiful windows overlooking the front yard and plenty of morning sunlight pouring in. As pretty as they are…these windows proved to provide a challenge when it came to filming, but it was nothing we couldn’t work around. But more on that later. She was able to shift priorities on the fly and talk about her recipes as she cooked. All the while she highlighted the different elements of BlueStar that matter to her, and how they play a role in her ability to create great meals. Not only was the shoot a success, but we can attest to the fact that the food Mary made tasted as great as it looked…since we got to eat some of it! The steak was incredible, and the dip was really delicious. We didn’t have the eggs, since they had been sitting on the counter for quite a while by the time we had finished filming, and as sumptuous as they looked…nobody likes cold eggs.